If you are seeking a fun way to tour the area, reach out to our friends at Segway of Scottsdale. 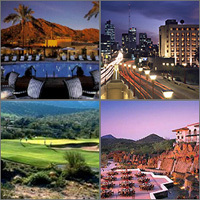 They offer locals and visitors the best Phoenix, Tempe and Scottsdale Segway Tours for groups of all sizes. Scripting must be enabled before you can continue to make reservations. Welcome new sponsor, Holtzman Home Improvement of Arizona. More details coming soon. Pick-up location at Phoenix Sky Harbor International Airport.